Ruinous Plaza - The Chip's Challenge Wiki - The Chip's Challenge Database that anyone can edit! Explore these ruins and collect all fourteen yellow keys to reach the exit. Ruinous Plaza is the 58th level in Chip's Challenge Level Pack 4. It was created by Josh Lee. 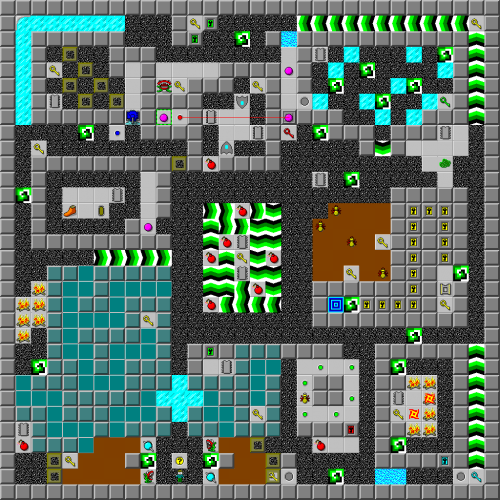 It was originally titled Spatial Ruins, but was renamed to avoid confusion to a similar titled level later in the set. Its new title references the fact that the wall configuration is similar to that of Floating Plaza from CCLP3.